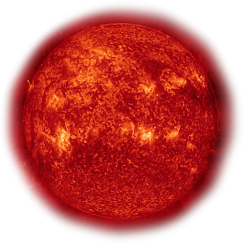 This image was obtained by the first MACAO-VLTI system at the 8.2-m VLT KUEYEN telescope in the infrared K-band (wavelength 2.2 µm). 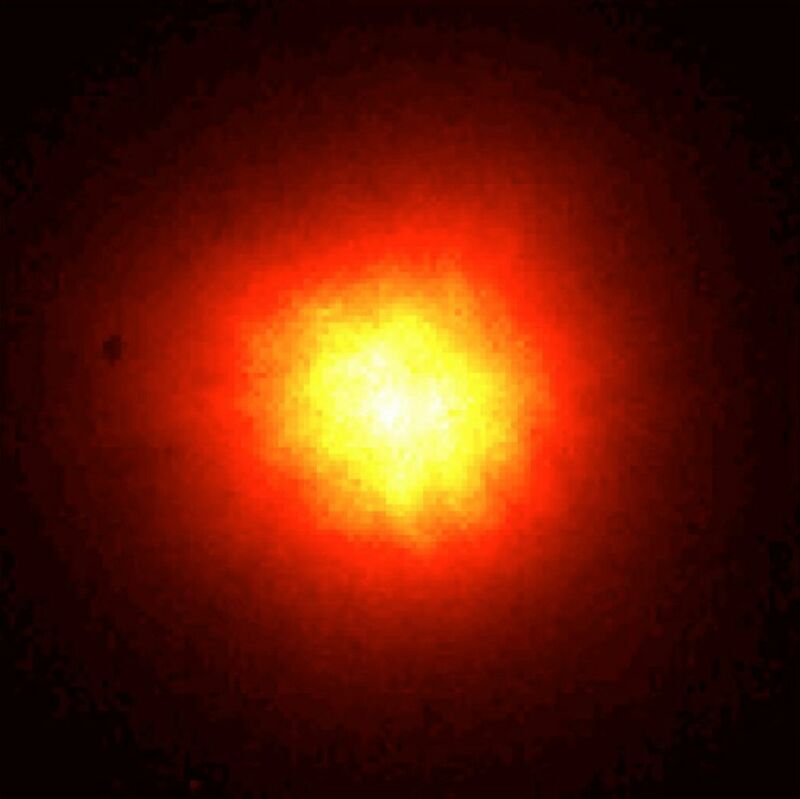 It displays images of the star HIC 59206 (visual magnitude 10) obtained before the adaptive optics system was switched on. Without the adaptive optics, it is hard to distinguish the binary system in the image. The binary is separated by 0.120 arcsec and the image was taken under medium seeing conditions (0.75 arcsec) seeing. For the image after the adaptive optics were switched on, see image "The star HIC 59206 (AO corrected image)", where the difference is very noticeable.